Here at South Brooklyn scoliosis and sports treatment center, we take flat feet (excessive pronation) very seriously. Dr. Nunziata has over 20 years of experience in custom casting of orthotics. Pronation can be the cause of a variety of pain sites and even cause postural curves that can be confused with a diagnosis of scoliosis. The picture below will give you a practical understanding of the results of walking or playing sports with pronation. 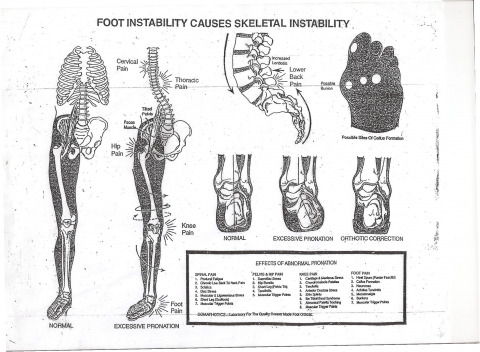 Pay particular attention to the amount of rotation that occurs from the ankle up to the top of the spine!